Branding is important, arguably the most important thing about a product or a service – we are bombarded by branding constantly and are now self-proclaimed connoisseurs at spotting the holes. 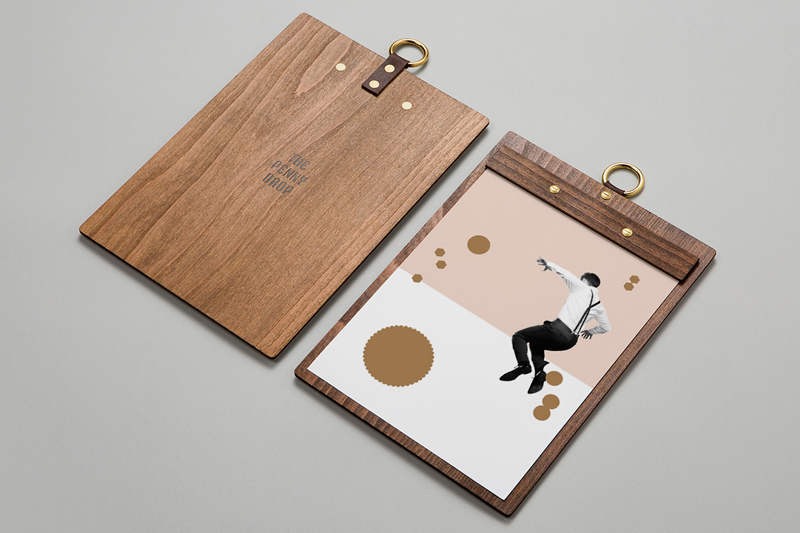 Pop & Pac, a graphic design studio based in Melbourne, Australia, understand this – it’s at the core of their latest project: the Penny Drop Café. 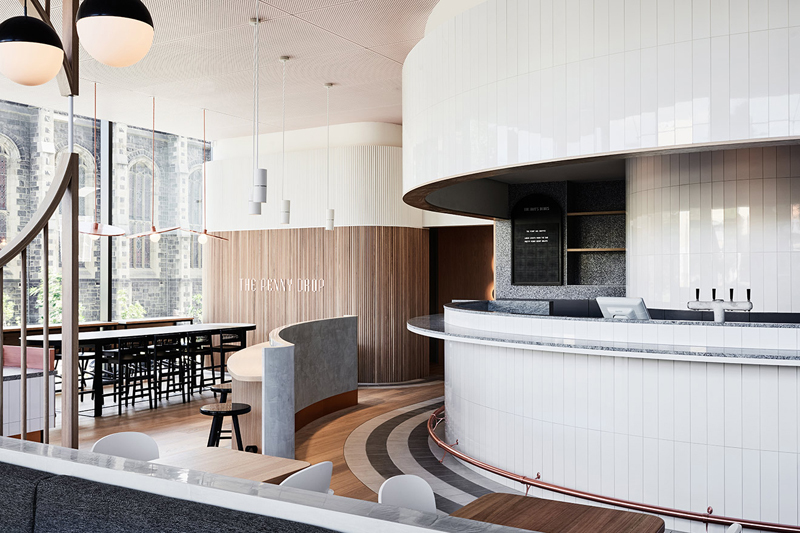 The eatery, in the Australian Tax Office building, is a collaborative triumph between the agency and strong creatives who all shared a common goal: ensuring the resulting café offered a new perspective on dining and this brand permeated everything within it. 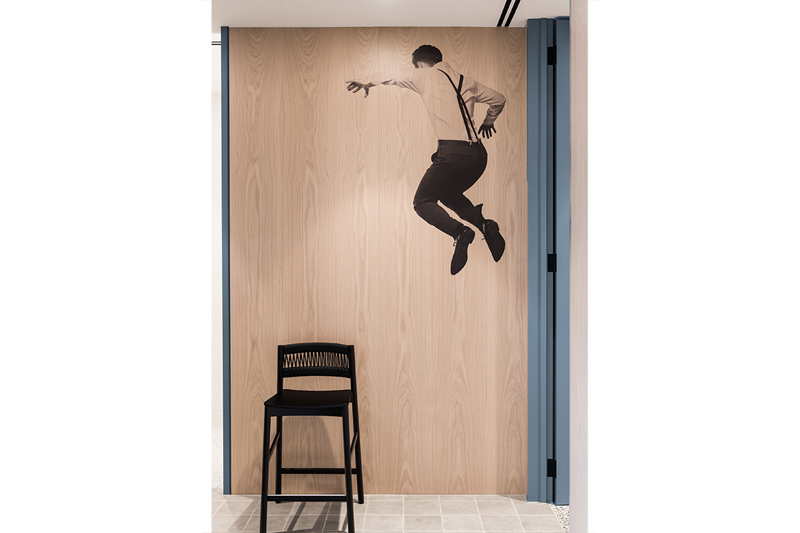 “The Penny Drop represents the synergy of brand identity and interior design; working together to create a holistic experience”, says creative director, Mauris Lai, when we catch up with him. 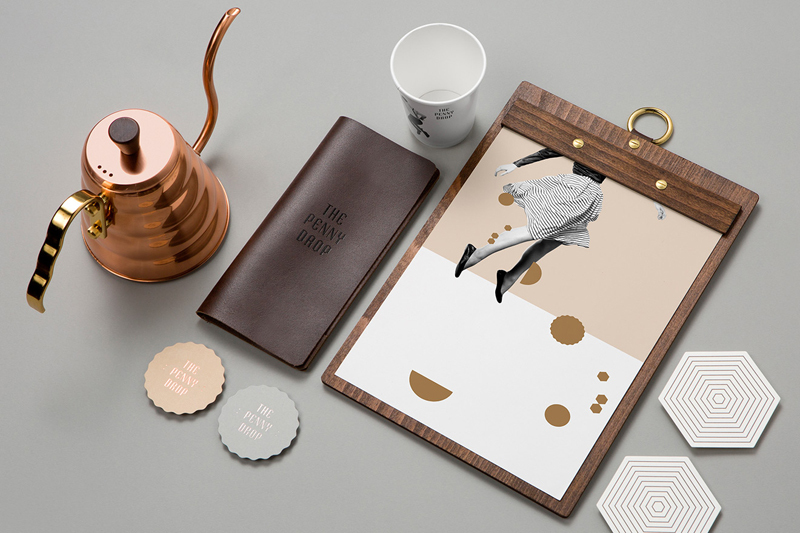 This story infuses everything you come across in the café, from cups and place mats to the colour scheme – which takes its inspiration from the sophisticated fashions of office workers from the 1950s and 1960s, but with a thoroughly modern edge. 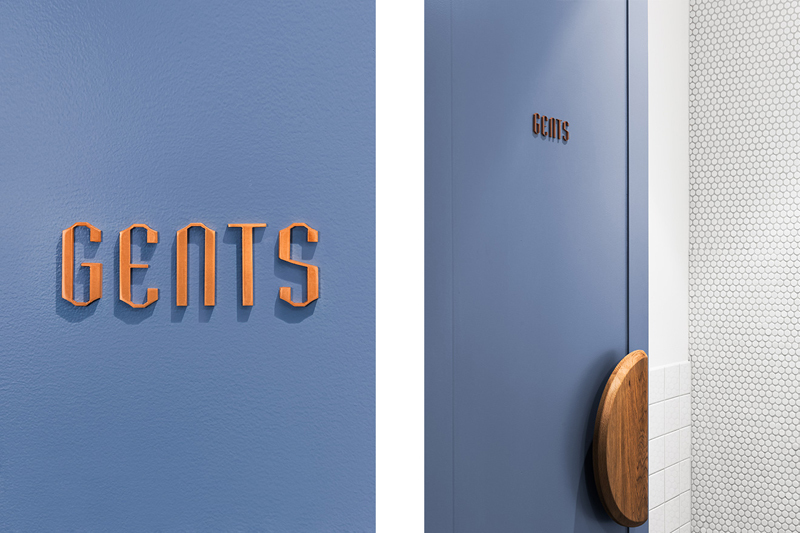 “Pennies also provide inspiration throughout; evident in brass menu dishes, the shapes of business cards and coasters, and use of circular elements”, Mauris continues, “these touches filter through the interiors, with custom penny-inspired lighting and subtle copper knishes”. 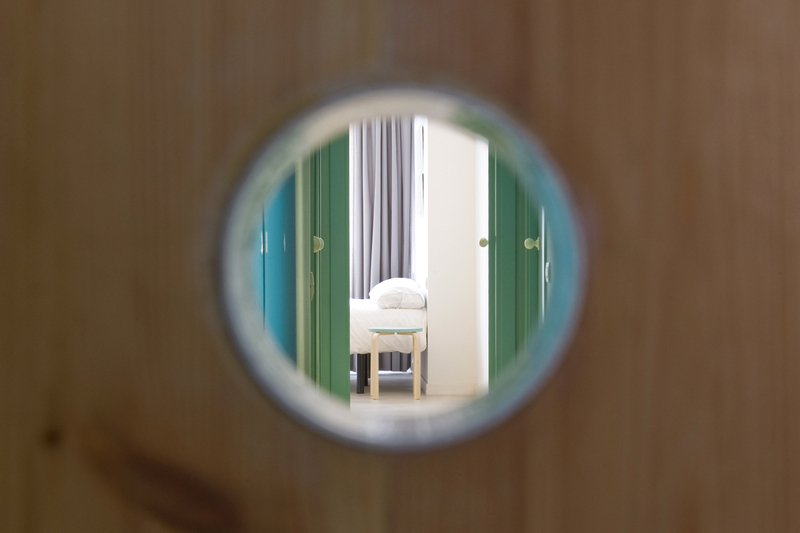 The interior is both relaxing and stimulating – the smell of coffee mingles with the details, everywhere you look, and yet there is visibly a laid back atmosphere – a new approach to food and a focus on enjoyment in the moment. The art deco feel, added to by the light fittings and gloriously textured walls, are given a bright, lightening touch with rose gold detailing and an inviting curved bar. 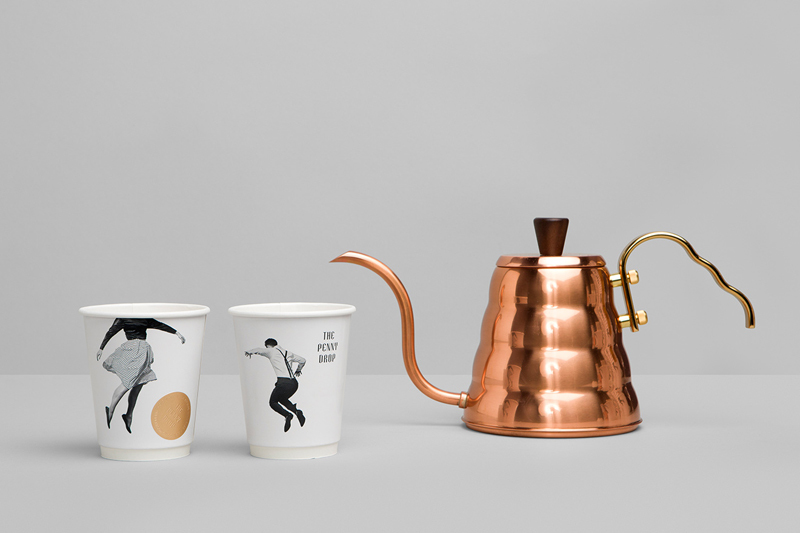 Pop & Pac’s expertise in branding are clear here, they make things stand out, and the bespoke nature of the café makes it impossible to blend in. 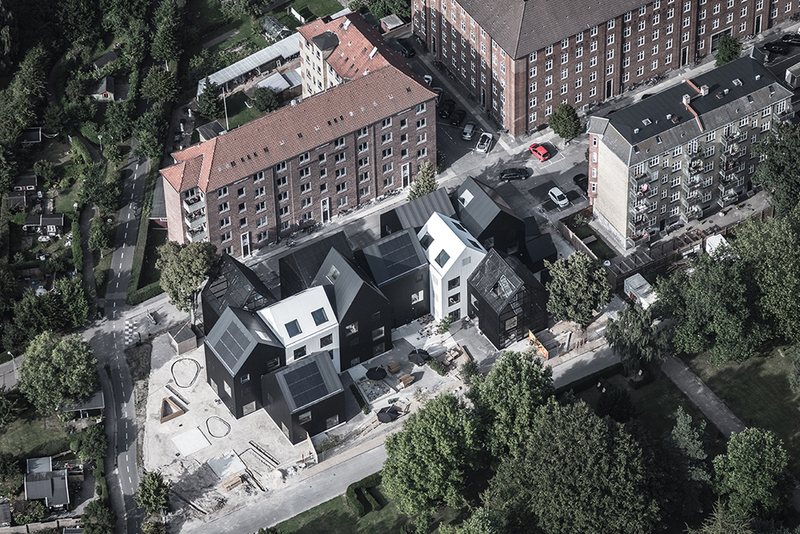 They’ve worked with major brands including, the BBC Symphony Orchestra, Arts Council England and Nira Hotels and Resorts to name a few but this is perhaps their most personal project. 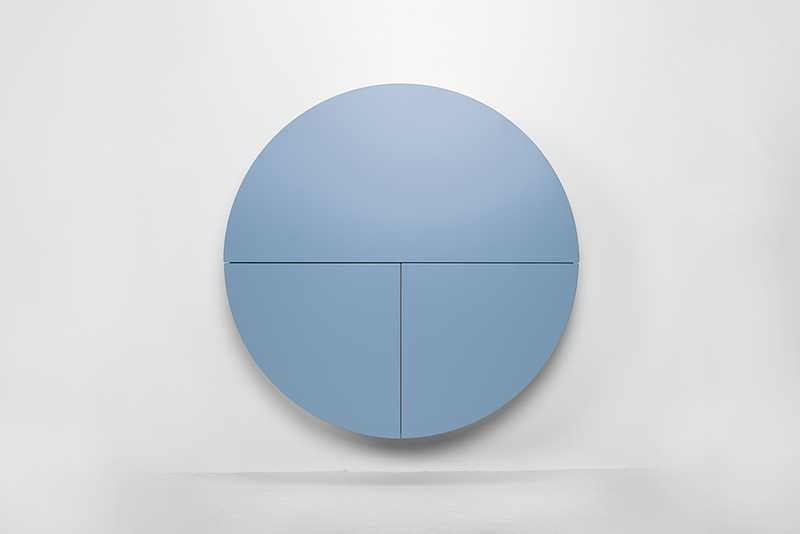 “We eat with our eyes first”, Mauris enthuses, and nothing tastes, or looks better, than obvious attention, to details, to experience and to design. 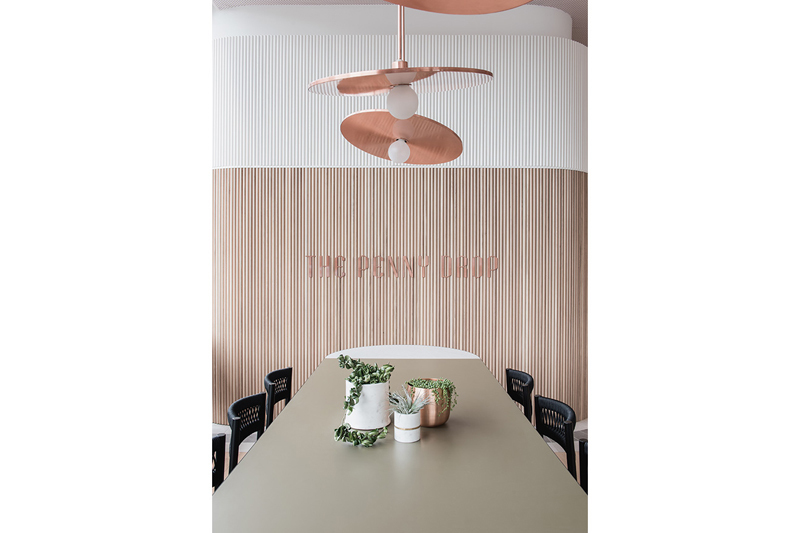 We wanted to find out just how the Penny Drop Café was born – so we asked, and Mauris, answered. 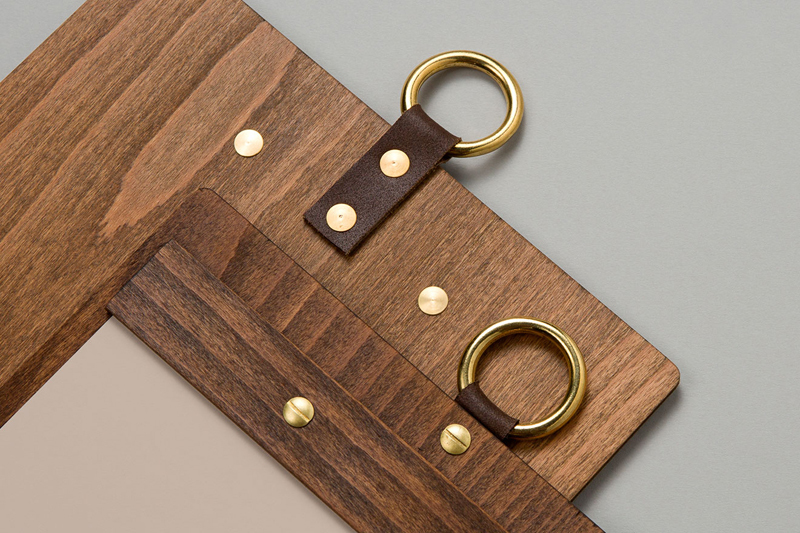 The Plus: What first inspired you to begin this project? Mauris Lai: Pop & Pac are always interested in working with artists and designers. 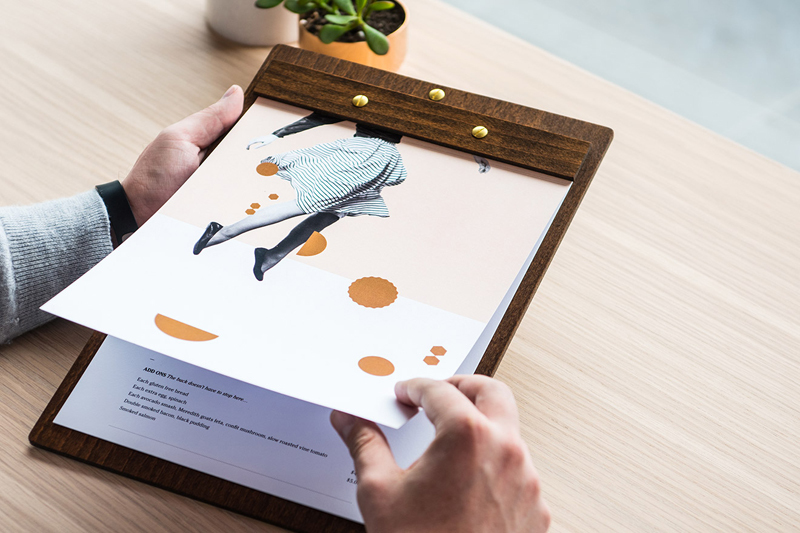 The Penny Drop was the perfect opportunity to collaborate with other creatives on imagining something special. 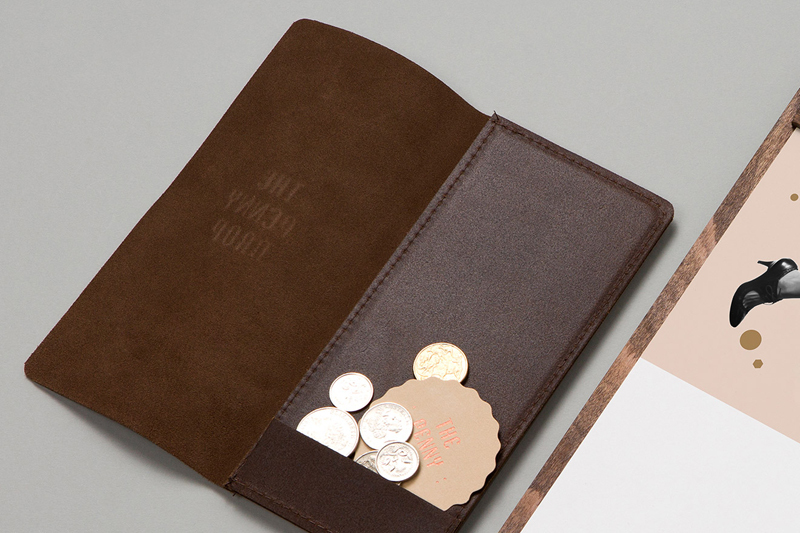 We endeavored to create a brand story that inspired every detail of the project, as our belief is brand is integral and should filter through every aspect of a business. 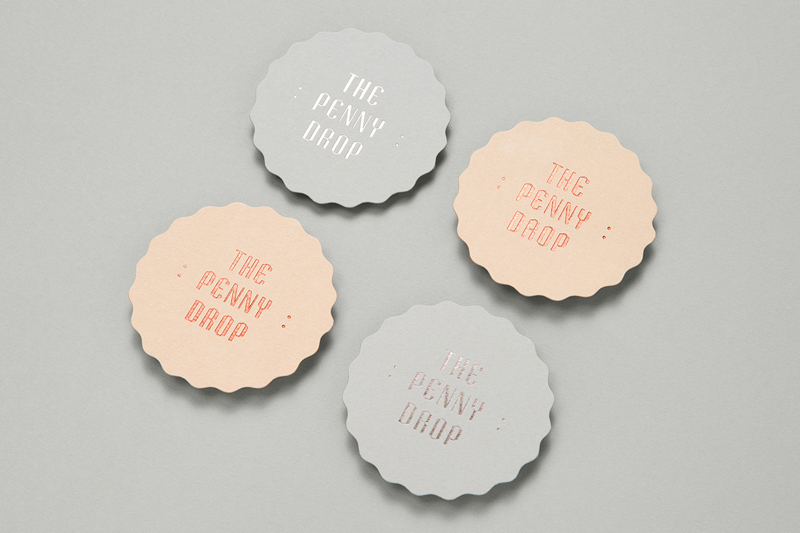 TP: How did you create the team for The Penny Drop Café? 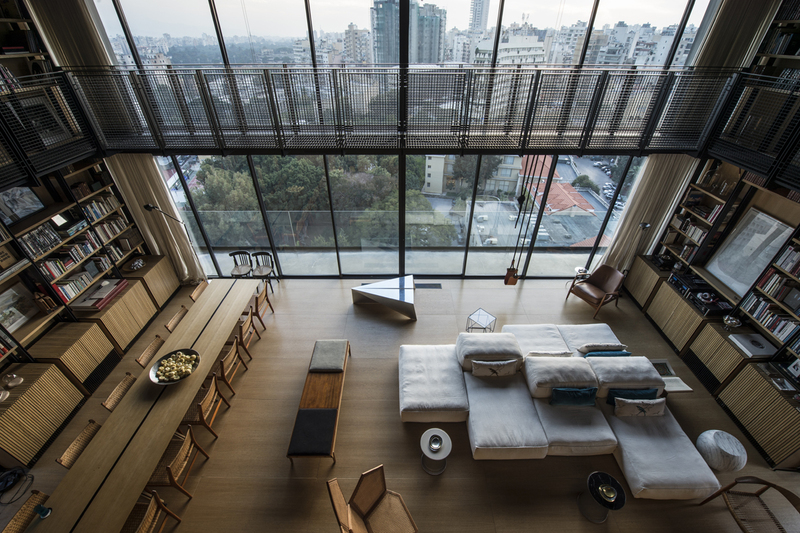 by the client, a team of designers and builders were sought out to craft something exceptional. The combined team; graphic design by Pop & Pac, interior design by We Are Huntly and construction and project management by S&K Group, worked closely with the client throughout the process. 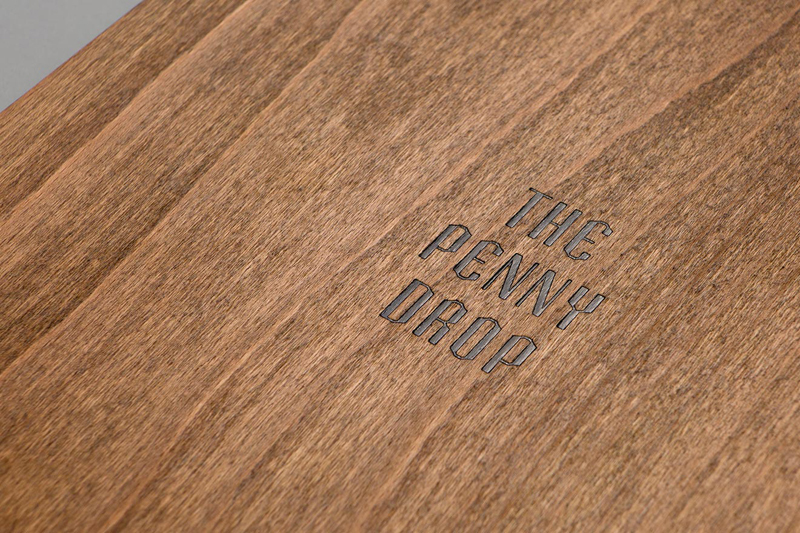 The Penny Drop represents the synergy of brand identity and interior design; working together to create a holistic experience. TP: How would you describe this ‘new perspective’ on food? 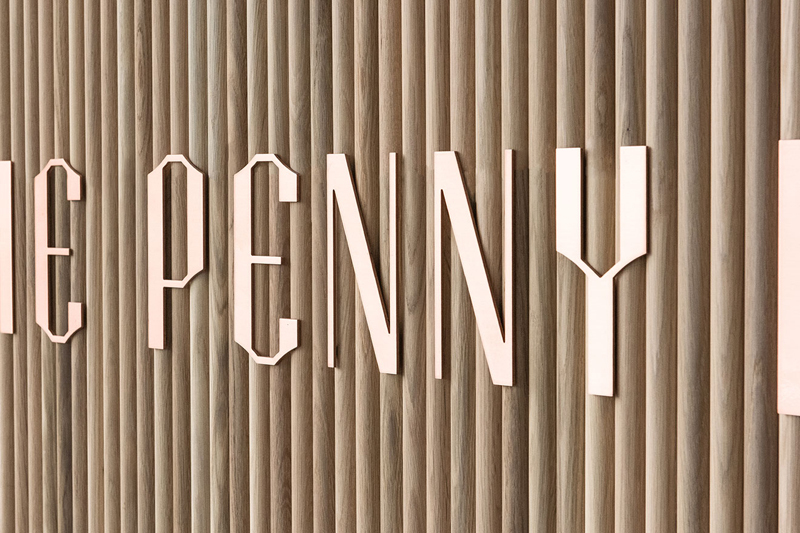 ML: The Penny Drop is located in Box Hill, a suburb of Melbourne with an abundance of traditional Asian eateries. 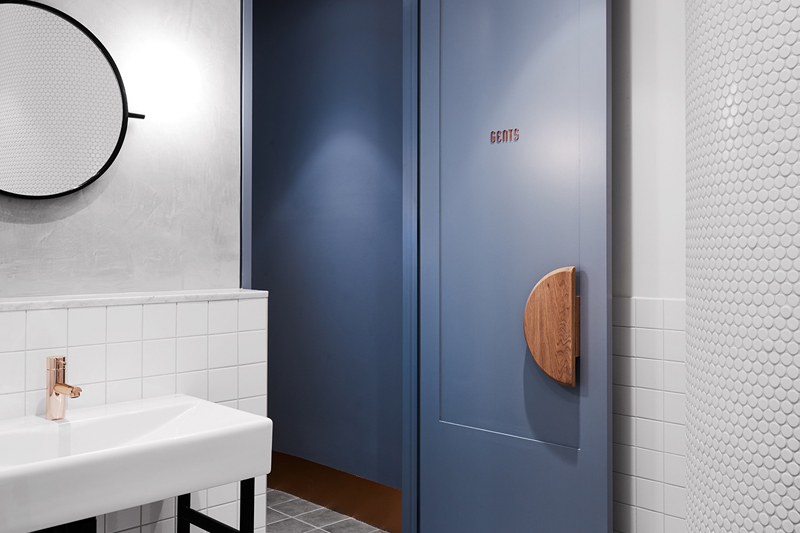 there was a gap in the market; an eatery with a contemporary Australian-Asian dining experience. 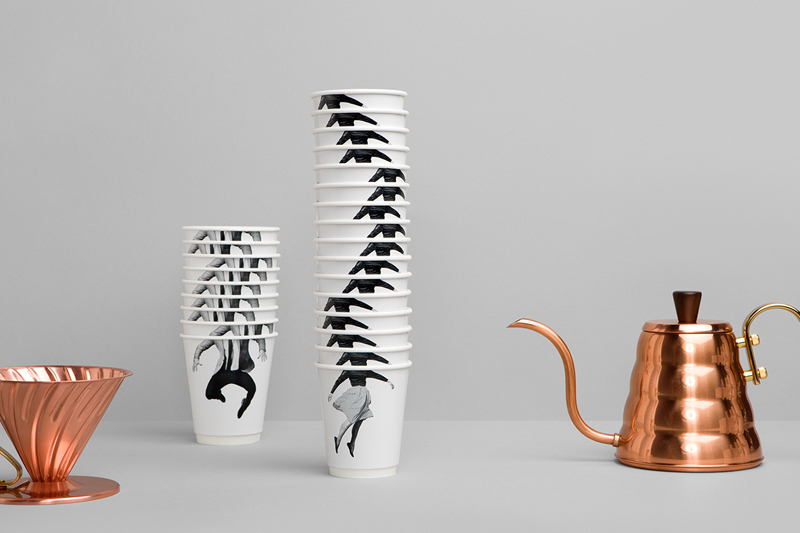 There was born The Penny Drop; a new perspective on food and coffee in Box Hill, where east meets west. Their modern Australian menu offers a variety of brunch and dinner favourites, but with a distinctly Asian twist. It’s Asian-inspired food, but not as previously seen. TP: How do you think food and art are similar? ML: We eat with our eyes first. Smell and sight are both important to the overall food experience, tantalizing our senses before we even taste. In this way, food and art can be seen as one; we use our senses first. 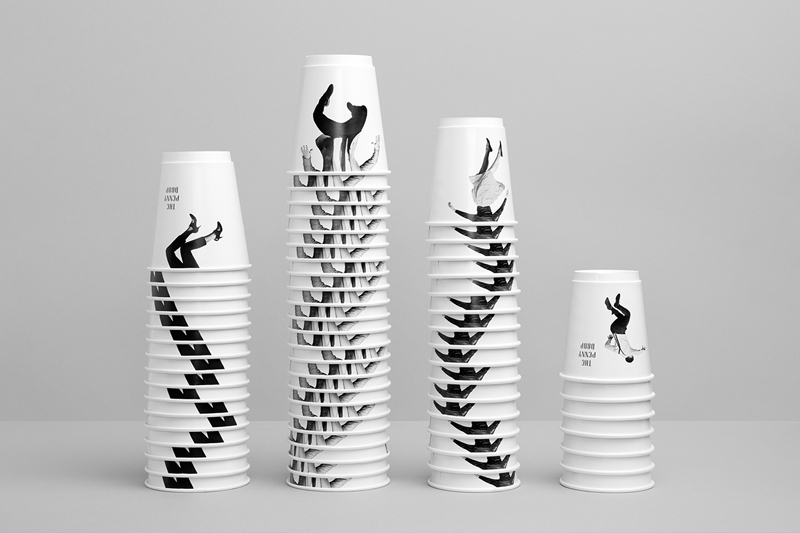 TP: How does design influence taste and experience? 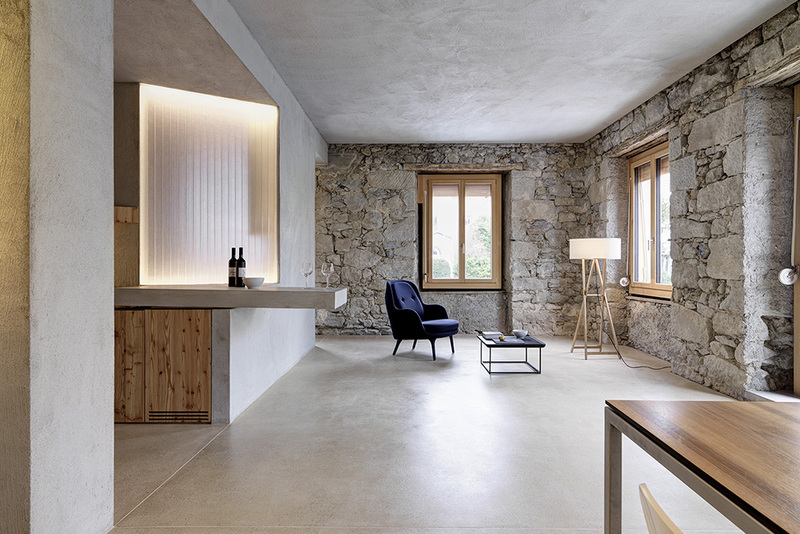 is a story being created and told through the design, the environment enhances and elevates food’s taste and quality. If this story connects with people on an emotional or physical level, people will return time after time. 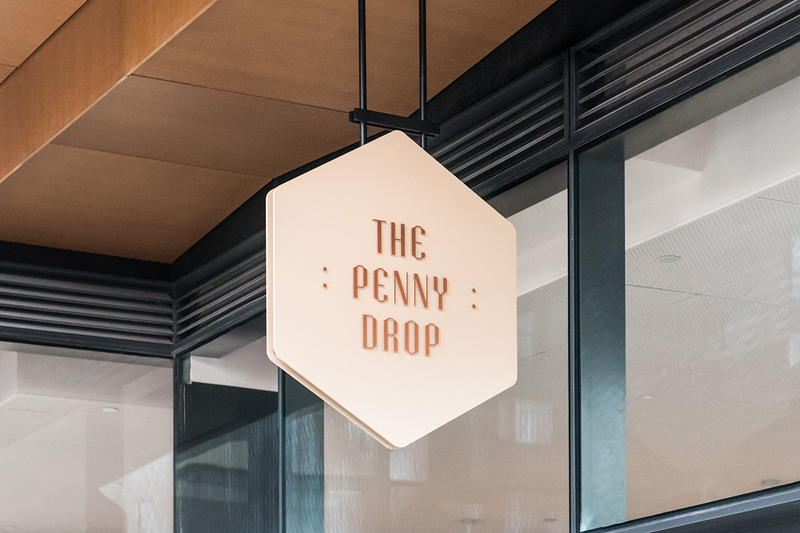 TP: What is your favourite aspect of The Penny Drop café? ML: The name—and the story of the name—is our favourite aspect of the eatery. 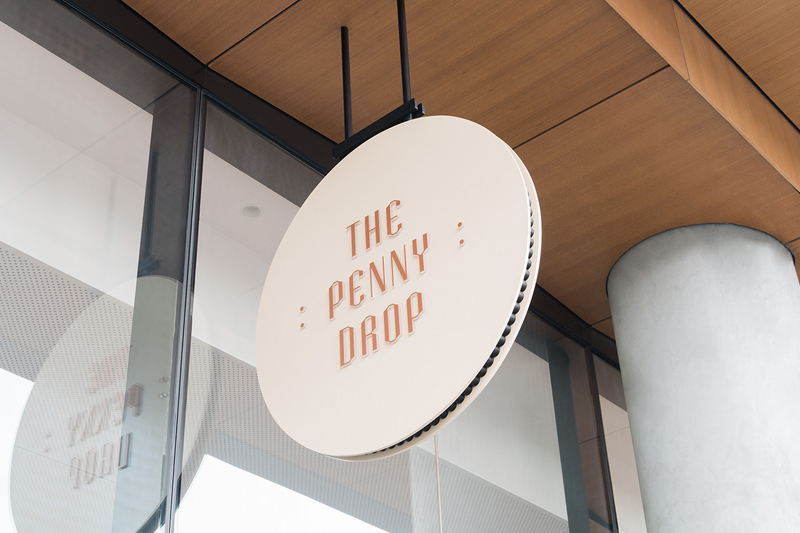 Responding to it’s location at an Australian nancial institution, the naming of The Penny Drop connects to the site’s context. “The penny has dropped” is a saying expressing realisation of something after a period of time. 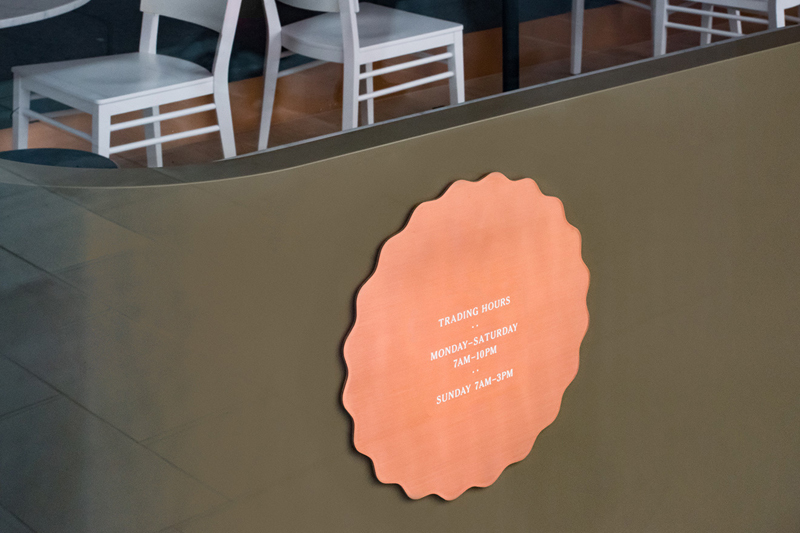 This phrase embodies the owners’ brief to the graphic designers—to create a unique experience that tips the prior expectation of Box Hill’s eateries. 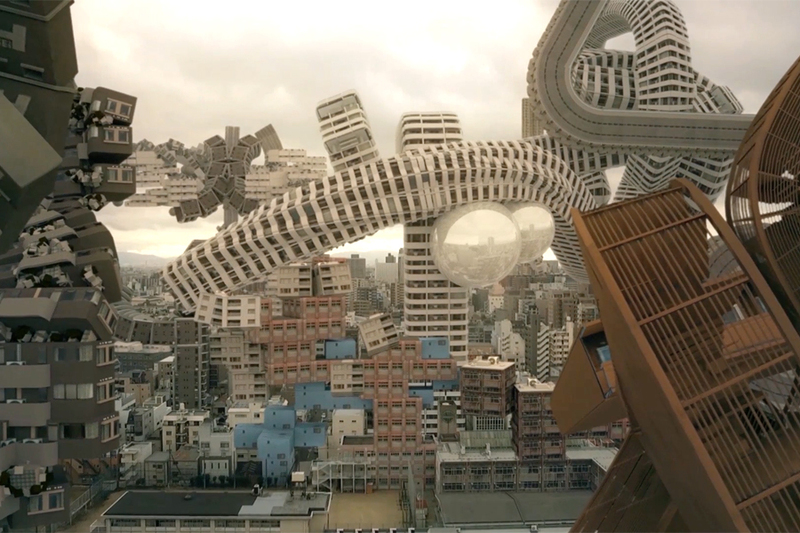 and dimensions that filters through all aspects of the experience. 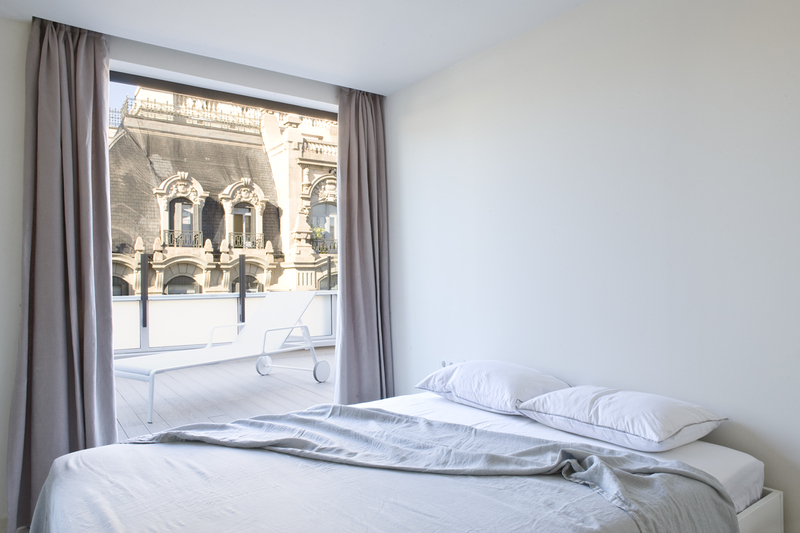 The photographic approach is another aspect of the identity that excites us. Our graphic design team stepped away from their computers to become models for the photo-shoot; willing to go above and beyond to achieve the identity we envisioned. TP: How long did it take to complete? ML: In total, the project took 6-9 months—celebrating the completion with a Penny Drop signature cocktail or two! ML: After the success of The Penny Drop, we are looking to capture the experience of the eatery; continuing to introduce projects with a synergy of design and architecture. Pop & Pac are currently working with Mike Palmer of Redroaster, a coffee house and roastery in Brighton. 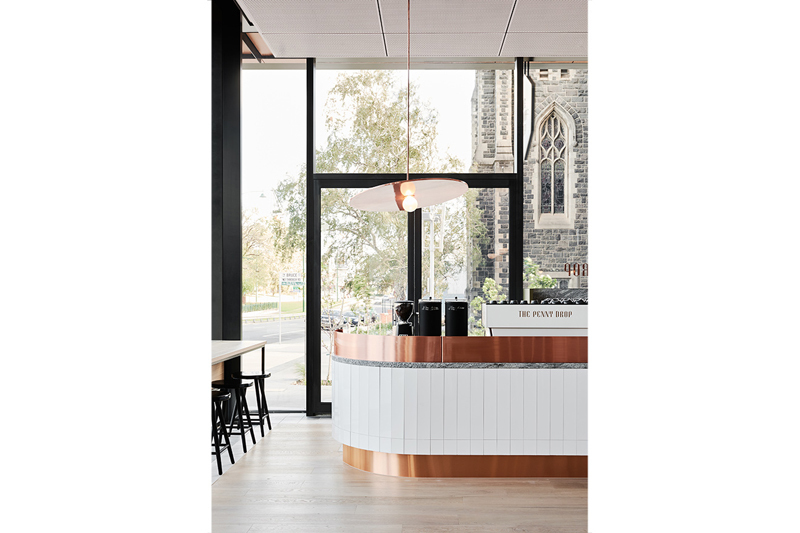 Our approach complements and enhances Redroaster’s excellent specialty coffee, focusing on the idea of the urban sanctuary. 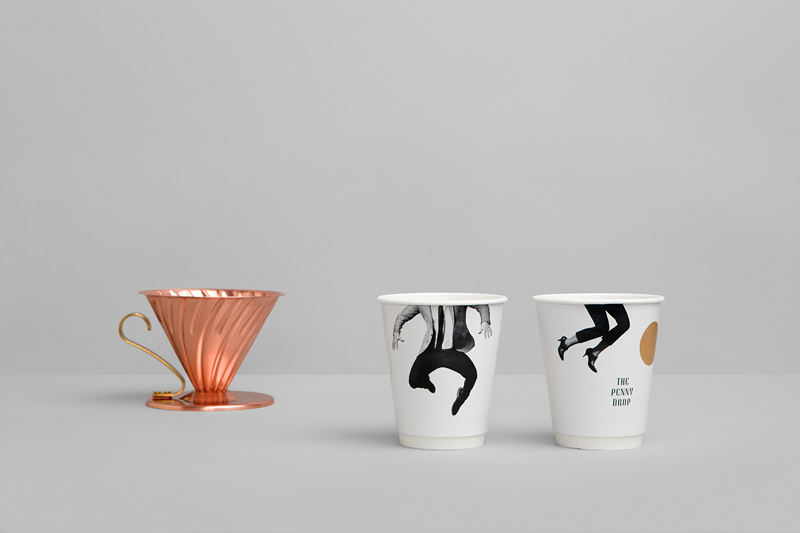 We are also beginning to work on a host of other hospitality ventures and collaborations, helping clients to realise the value of the design process. We are pioneering a benchmark in the commencement and execution of projects, complete with integrated brand and story.